Pirates are raiding elections in Germany, is your political system next? In just the past few years, we’ve seen the Protect IP Act, the Stop Online Piracy Act, the Anti-Counterfeiting Trade Agreement, and countless other pieces of legislation around the world billed as the solution to digital crime. But every time one of these proposals is brought to the public, the backlash is swift and severe. And thank goodness for that. While each one of these political devices sought to bring increased legitimacy to online business – particularly with regards to copyright infringement and creative rights – in reality, they would bring an end to the free internet as we know it; decimating free speech, destroying security, and opening the gates for warrantless surveillance. So, is it safe to say that politicians are out of touch with the internet? 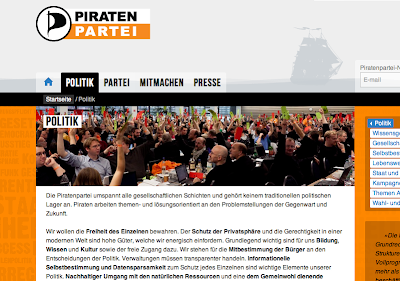 Introducing: The Pirate Party. They don’t have eye patches (as far as we know) and they’re not after your booty, but many of them are hackers and their next target is your political system. The Pirates first set sail in 2006 when Swedish political evangelist Rick Falkvinge was able to rally members of his bourgeoning party against the police raid on the Pirate Bay’s file sharing servers. Using a platform in support of copyright reform (anti-DRM, anti-software patents), and government transparency, the Pirates were able to amass a critical number of members – enough to convince a coalition of left-wing political parties to adopt their policies and enough to return a Swedish member of the European Parliament to office under their flag. Yar! We'll plunder, pillage and win seats in Parliament! But the winds really picked up last September when the Pirates won their first seats in a state parliament after capturing 8.5% of the vote in Berlin state elections and then more seats in March in the Saarland region elections. While many considered the Berlin elections to be a temporary political fluke, the victories in Saarland secured the Pirates as a legitimate party and force for change in German politics. Presently, the Pirates are polling around 9% in the two regions that will be holding state parliamentary elections in May – substantially more than the 5% minimum to be awarded seats. Current numbers estimate the Pirate Party is now Germany’s third most popular party. So what do Pirates stand for anyway? The pirates run on a platform of open information. Government transparency and accountability, free file sharing and digital freedom (anti-ACTA, for example) are all major campaign points. In fact, the Pirates are so dedicated to transparency that they will only go into coalition negotiations with parties that agree to livestream the negotiations online – allowing anyone to see and understand the deals being cut. But beyond policy, the Pirates are also taking aim at the system itself. 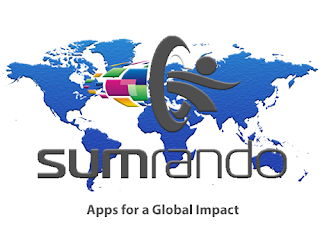 The concept involves using the connectedness of the internet to actually transform the ways political decisions are made. This is where an innovative piece of software called Liquid Feedback comes into play. Liquid Feedback is a software package and online forum that allows party members to have constant and equal input in party and policy decisions. The program offers members the opportunity to voice opinions, draft legislation, and help make party decisions. The concepts fleshed out in Liquid Feedback are then brought to official party meetings where those in attendance vote on them. It even uses algorithms to evaluate party opinion on certain issues. As a Pirate Party member, you could feasibly have input in every decision the party makes. But here’s where things get really interesting. Since most members likely don’t have the time or desire to actively participate in every decision and every piece of legislation the party makes – that’s why we have elected representatives – a member can actually delegate their votes to other members based on expertise or influence. Members can delegate all their votes, or only votes on specific issues. The Pirates have essentially created a gray area between direct and representative democracy where each voter gets to decide their own level of participation. The problem with the Pirate Party in its current form is its lack of definition on issues outside the internet and transparency. They don’t have an official stance on many issues pertaining to major topics like immigration, the economy, or foreign policy. But despite these ambiguities, expect the Pirates to play a major role in German and pan-European politics for the foreseeable future. At present count, there are Pirate Parties registered in over 40 countries. As we’ve seen, even in countries where they aren’t winning seats in parliament, they’re influencing policy. And as long as the long established parties keep pushing dangerous digital policies like ACTA and SOPA, expect the Pirates to continue waving their flag.